Early evidence for hominin activity in north-west Europe occurs in palaeoenvironmental contexts where winter temperatures would have dropped to around freezing. This raises questions about the ecological niche of the early occupants, particularly given the lack of evidence for key solutions to the challenges of seasonal environments. For example, the earliest convincing evidence for anthropogenic use of fire from this region dates to 0.4-0.3 mya. The lack of earlier evidence may reflect limitations to the preservation of traces of fire use or to research into fire. However it may be worth considering the possibility that the earliest occupants of Europe had other ways of dealing with challenges posed by seasonal environments. 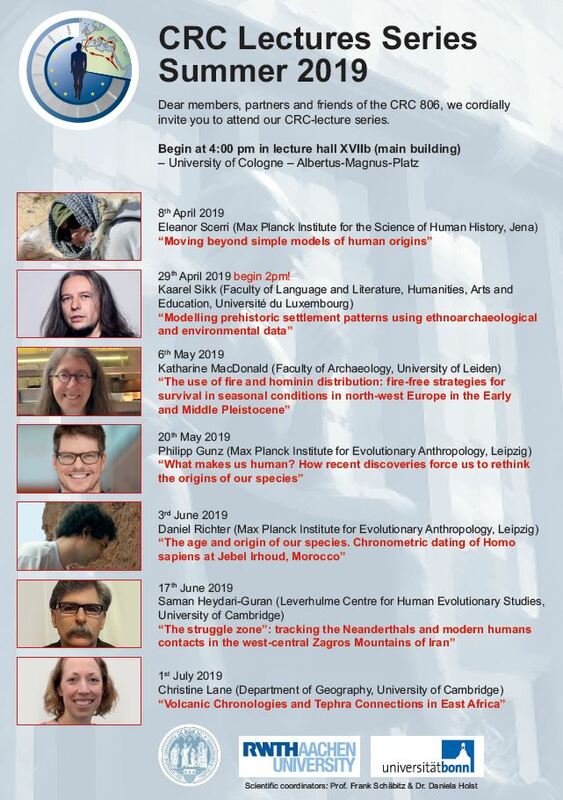 In this talk I will discuss strategies for keeping warm and fed without fire, drawing on recent comparative reviews of the ethnographic and mammalian record and human biology (MacDonald 2018, Speth 2017). A number of plausible scenarios can be identified, providing support for the view that the relatively late date for regular use of fire may be a real pattern; however testing these scenarios is challenging. Finally, how do these ideas relate to the larger-scale and longer-term pattern of hominin range expansion and adaptation?